Hello everybody! Today, since all my other posts over the past week have been related to Valentine’s Day somehow, I thought I may as well make this one that theme too and talk about books with the word heart in the title (though only one of them is actually a romance book!). Onto the list! Instructions for a Second Hand Heart– I read this book around the time of my birthday in 2016 (which feels like FOREVER ago) and so my memory of this isn’t great but I do remember liking it a lot and devouring it under a blanket in just one afternoon because it was SO wonderful. It’s about Johnny, who has just received a heart transplant and Niamh, whose brother has just died and had his organ donated, as they meet and fall in love. I remembering thinking they were a great couple, and I found the concept super interesting. The Dragon with a Chocolate Heart/The Girl with the Dragon Heart– as you may have guessed from the very similar titles, these two books are part of the same series and I really like both. They are set in the world of Drachenburg and focus on Aventurine (a dragon who is tricked by a food mage and transformed into a human) and Silke, a gifted storyteller who investigates fairies on the orders of the royal family respectively. Both are such good fun, and feel a little like Disney films in book form. I’m looking forward to To the 3rd later this year, which will not have heart in the title. Cogheart– this is a super fun MG fantasy adventure about a girl named Lily and boy named Robert teaming up to work out who the sinister men stalking Lily are. This is another one I read quite a while ago and my memory is definitely shaky but I remember being super gripped by the mystery for sure, and I LOVE Malkin the mechanical fox- he’s one of the best animal sidekicks ever. I actually really must read the last book of this series, because I’m pretty sure it’s going to be great given that Moonlocket (the second) improved on this. Only Love Can Break Your Heart– this is another one I read more recently (last month, actually) and really enjoyed. 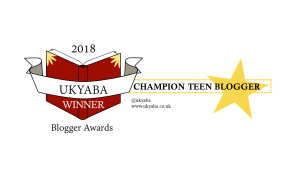 It’s Katherine Webber’s second YA book, and while I have to admit that I didn’t love it quite as much as Wing Jones, I did still like it a LOT. It’s the story of Reiko and Seth, who fall in love and then realise that they aren’t really right for each other. It was a really unusual concept (I def can’t recall reading about a doomed relationship before, anyway?) and it was very well executed. While there are faults on bith sides, I definitely supported Reiko way more (I loved her) and I loved to hate Seth a great deal because he’s kind of the worst! It also has super beautiful writing and an amazing setting, if you needed to be sold on it anymore. Bonus pick– I haven’t read this yet as it isn’t out so didn’t want to include it on my main list, but I’m very much looking forward to reading the Paper and Hearts Society by Lucy Powrie when it gets released later in the year! I think it’s going to be AMAZING. What are your favourite books with the word heart in the title? I’d love to hear in the comments! Hello everybody! Today, I’m going to be reviewing all of the books I read in the final month of 2018 (which I still can`t believe is over, to be honest!). Onto the books! Have you read any of these books? Are some of them on your TBR, or are you going to add them now? I`d love to hear in the comments! Hello everybody! Today, I`m going to be sharing my thoughts on all of the books I read in November (excluding a couple for school! ), which were all pretty great- it`s definitely been amongst my best months for quality if not quantity! Onto the post! Hello everybody! Today, I’m going to be doing the Mid Year Book Freakout Tag, which I was tagged for by Cora. Onto the post! 1. The best book you’ve read this year? My joint favourites of the year so far are When the Mountains Roared and the Children of Castle Rock, which I adored. The former cemented Jess as one of my favourite writers at the moment as it was even better than her stunning debut and the latter was such a perfect Blyton-esque read that made me laugh so, so much. 2. The best sequel you’ve read this year? I’ve read lots of excellent new additons to series this year, but the best sequel to a first book by far for me has been Alex Sparrow and the Furry Fury, which I thought was hilarious and exciting and immensely enjoyable, AND it had the added bonus of loads of brilliant animals. 3. New releases you haven’t read yet but want to. So, so many. I’m very excited to finish off the Uncommoners trilogy, and I think the Storm Keeper’s Island and the Wild Folk look particularly amazing too. 4. Most anticipated releases for the second half of the year. Emma Carroll’s Secrets of a Sun King, Robin Stevens’s Death in the Spotlight and Anna James’s Pages and Co are probably my top three. There are so many things coming out that I want to read that I’d take forever to list them all though! I think it has to be the List of Real Things. I absolutely loved the two books I’d read from Sarah Moore Fitzgerald previously (Back to Blackbrick and the Apple Tart of Hope, which were stunningly written and so unique), but I found this one really hard to get into and not what I’d expected from the blurb. I thought I’d enjoy the Children of Castle Rock, but I had no idea I’d love it as much as I do. It feels like a book I’ve been waiting on forever without knowing it, as it combines so many of my favourite ingredients in a book; boarding school, adventure, friendship, beautiful writing and brilliant humour. 7. Favourite new to you, or debut, author. I don’t feel like I’ve read as many debuts this year (though that could be my imagination! ), but I’d say my favourite would be the House with Chicken Legs, which was a retelling of the Baba Yaga folk tale with lovely characters, some brilliant twists I did not see coming at all and a phenomenal setting/character in the house itself. 1000% Matt Finch from Open Road Summer. I love him. Unlike Reagan (the main character, who he is the love interest for), I am exactly the sort of person who’d love to have a song written for them. I’ve loved SO many new characters, but I think my absolute favourite is Finch, the narrator of Flying Tips for Flightless Birds. He took a little while to get to know, but he was such a joy to read despite being simeltaneously frustrating some of the time. When the Mountains Roared made weep at multiple points. Most books ehuch heavily feature animals do, to be honest. ALL OF THEM. But one in particular would be A Sky Painted Gold, which I read on the couch one day when I felt really unwell. It was so romantic, funny and well written that it made for perfect escapism. 12. Favourite book to film adaption? I think I’ve only seen Love, Simon, but it’d still be Love, Simon if I’d seen fifty. I loved that film so much, and I didn’t really expect to since the book is one of my favourites and they changed quite a few things. 13. Favourite post you have done this year? I think it would have to be this one because writing an entire post about why I love Geek Girl was such a joy. 14. Most beautiful book you have bought this year? Easily Open Road Summer- I think all of the UK covers for Emery Lord are ridiculously pretty. I want to get to so many things by the end of the year, but the main one I’ll mention is the Secret of Supernatural Creek because I bought it the day it came out, and have put off reading it for almost an entire year in case it doesn’t live up to the original Laura Marlin Mysteries quartet (which hold a very special place in my heart). There are lots of others I hope I can get to too. If you’d like to read my 2017 version of this tag, you can do that here. I tag Christina and Laura. Have you read any of these books? What did you think? Let me know in the comments or on Twitter @GoldenBooksGirl! Hello everybody! Today, I’m taking part in Top Ten Tuesday, for which the theme today is bookish worlds I don’t want to live in. I’ve come up with 5, so onto the post! Of all the books that I count as favourites, the Geek Girl series is one of the very closest to my heart. There are so, so many reasons why I love this series and I decided, since it’s now almost a year since the final book came out that I wanted to write about it. It fits my taste perfectly. That’s something Geek Girl has given me. There are whole sections of this book I can rhyme off by heart; Harriet’s vocabulary has seeped into mine. Ostensibly, which features in one of the most uncomfortable bullying scenes throughout all 6 books is one of my go to phrases in an essay, and it’s one of my favourite words ever. I also try and learn some of the glorious facts sprinkled throughout that always fit just right with the narrative, which never feel jarring as they could be in other hands. The rest of the cast are just as special. Eccentric agent Wilbur; so bizarre I can’t help but giggle when he’s on the page. Her parents; clever and caring, and undoubtedly my favourite book parents of all time. Toby; initially an irritation, but someone I came to care about by the end of Forever Geek. Best friend Nat; ferociously protective of Harriet, hilarious, a true ‘girl bomb’. Scary fashion designer Yuka Ito, whose terrifying manner provokes Harriet into some of the best moments of the series for me. And Nick. Lion Boy. A character I’m unashamedly in love with. He’s funny, charming, gorgeous and I can picture him so vividly throughout. He’s perfect for Harriet, to me, and she’s perfect for him. Watching them grow over the course of the series is a pleasure, and letting them go in Forever Geek was difficult (I spent the entire sitting in which I read it in tears, even as I inevitably laughed). I don’t think I’ll ever stop rereading them though. At the end of any especially tough week, or in preparation for something I’m dreading, I go to the drawer in which I keep these (the most easily accessible I have), pull them out and start reading. And it feels like going home. 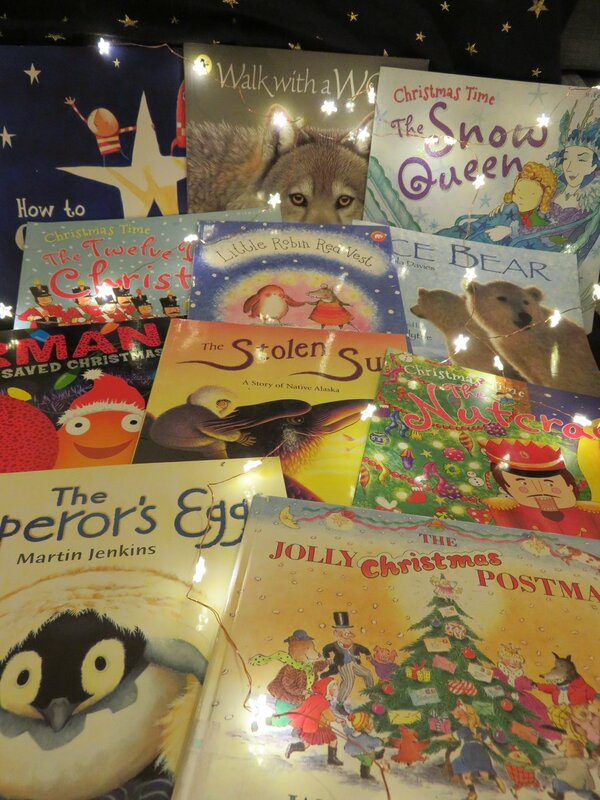 Today, I have a lovely guest post from my fabulous friend Christina, who blogs about books and modern languages (aka two of my favourite things in the world) all about books she reads with her class at Christmas. Over to Christina and her lovely post now! In my classroom we read everyday, several times day. Any time we have a spare minute we read. Read a story, poem or article together as a class, with a friend or alone, we’re always reading. I like to share my favourite stories with the children in my class and consider one of the most important parts of my job is that children leave my class having identified books as sources of joy, inspiration, comfort and information. Books as ‘ uniquely portable magic’ in the words of Stephen King. I like to match books with what we’re learning about or link them to things that are happening in the real world. Books have started so many valuable, deep conversations with my class and I have seen the impact with children queuing to borrow their own copy, reading more on that subject or in the reports I hear from parents about their once reluctant reader who is now lost inside a book at every opportunity. The lead-up to Christmas in school is exciting, yet tiring with lots of things going on. To give you an example, in the month leading up to Christmas we have parent-teacher conferences, Arts Week (where each class spends a whole week creating art, culminating in an installation in and around school), Open House (where children perform, then show their parents around school), flu sprays, Christmas pudding cooking, etc etc. I could keep going! In amongst all these activities and excitement, it is important to have the sanctuary of reading as that quiet, calm place we all enjoy spending time in, even when the sculpture we’ve spent two hours building has collapsed in a crumpled mess. So, what do we read? Here are a few suggestions for any KS1 or KS2 class (ages 4 – 11). Little Robin Red Vest by Jan Fearnle -Little Robin has given all his nice warm vests to seven chilly friends in need. On Christmas Eve, with no vest left for himself, he huddles on an icy roof… until someone very special comes to the rescue. I first came across this when teaching Year 1 and it has been a firm favourite with every class I have shared it with. A really cute story about the importance of kindness and sharing! The Jolly Christmas Postman by Allan and Janet Albert- The Jolly Postman brings a batch of wonderful letters for Christmas, including notes from the Big Bad Wolf and all the King’s men. If you loved the original Jolly Postman book, you will also enjoy this holiday edition where the postman delivers letters to various fairytale characters. The Polar Express by Chris van Allsburg- A young boy is awakened from his Christmas Eve rest by a train that magically appears just outside his home. And so, a magical adventure begins! Truly a classic for Christmas! The Snowman by Raymond Briggs- Wordless picture book with beautiful soft illustrations – lovely to share with children as you can discuss what is happening on each page. Yet another classic, The Snowman had charmed and enthralled every child to whom I have introduced him to! Not traditionally Christmas stories, but the storytelling at home fits well with cuddling up with your family during colder weather and The Gruffalo’s Child is set in winter. Stick Man is also a fun read at this time of year, especially as Santa Claus makes an appearance! A cute look at what Santa does before and after Christmas – quirky humour and graphic-novel style illustrations make this a winner! This needs no introduction – remember reading this on Christmas Eve with my parents when I was younger and I’m sure that many other families also have this tradition. Not strictly a Christmas book, but a beautiful story to share with children at any time of the year! A Native Alaskan story about the changing of the seasons – lovely to share with children who may not be familiar with the original folklore. The Twelve Days of Christmas- A fun way to count down the days with your children – it is just an illustration of the song, but it is fun to read as you sing and talk about what each gift might represent or what they might orefer instead! The Nutcracker- Another Christmas classic, my family watches the ballet together every year. Did anyone else ever imagine themselves as Clara, dancing with the Sugar Plum fairy? Walk with a wolf, The Emperor’s Egg and Ice Bear- Brilliant faction (fact but illustrated like fiction) books which have fascinated every class I have ever read them to! How the Grinch stole Christmas by Dr Seuss- This one probably needs no introduction – the inimitable Dr Seuss takes on Christmas through the eyes of the Grinch who hates everything about it! Okay, am going to stop here although the more I think about it, the more wonderful books I come up with! Have you read any of the books above? Will you add some to your seasonal reading list?